There are new plans for the spot that was Berg's Shoes for many decades. 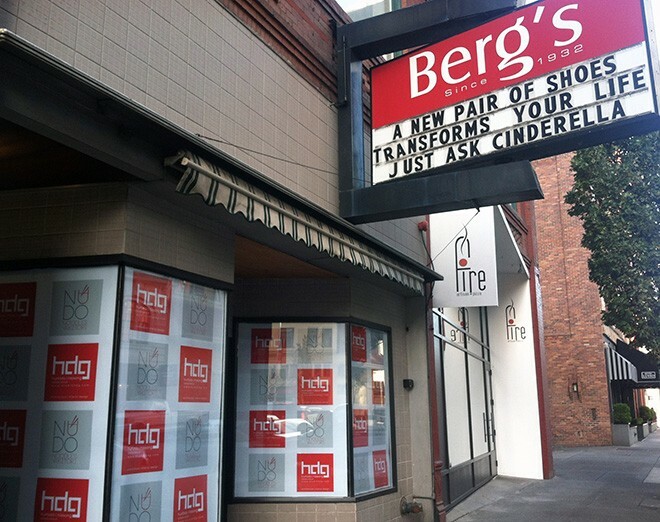 In August, Berg’s Shoes in downtown Spokane closed after more than 70 years in the same location on Sprague Avenue across from the Davenport. The shelves were emptied, and the shop looked vacant for the past couple of months. Now there are signs of what’s to come papered across with the windows. 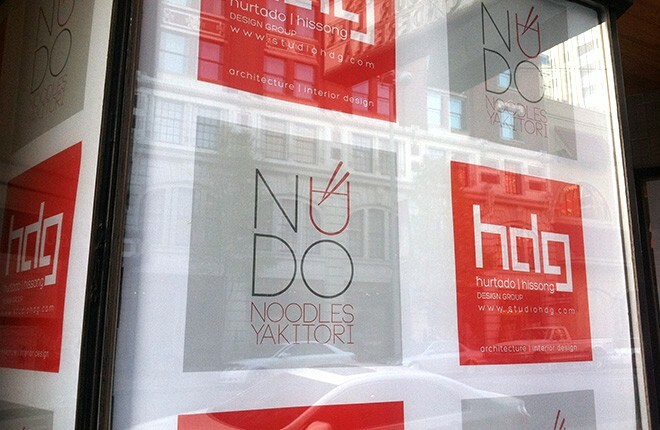 Spokane architecture and design firm HDG, which designed neighboring Fire Artisan Pizza and moved into new digs earlier this year, is planning to open a restaurant called NUDO. The new branding indicates it will be a soba noodle shop.